Angela Simmons & Bow Wow definitely have a chemistry that many fans love and noticed during Angela Simmons week long co-host gig on BET's 106 & Park last week. Angela Simmons style complimented Bow Wows swag. BET really need to look into giving Ms. Simmons her own show on the network. I'm just saying with her new website www.AngelaIAm.com & new fashion line that would be a great look for the network for inspiring young women. 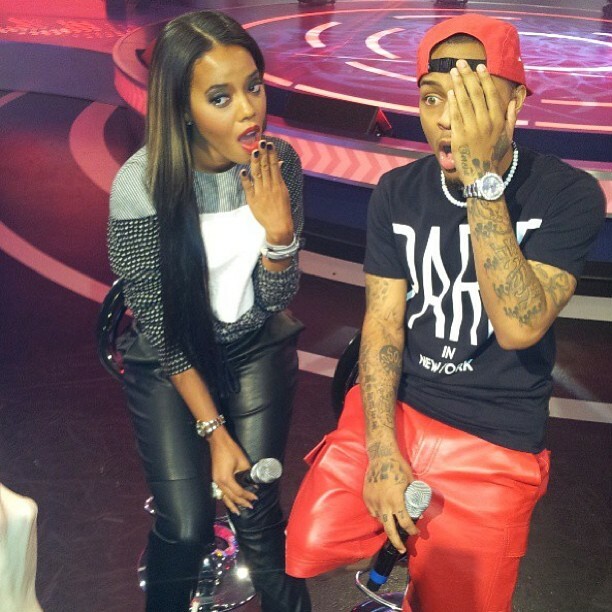 In the meantime, check out Angela Simmons and Bow Wow in the hot seat on 106 & Park and tell us what you think.